Craving for Filipino food in China? 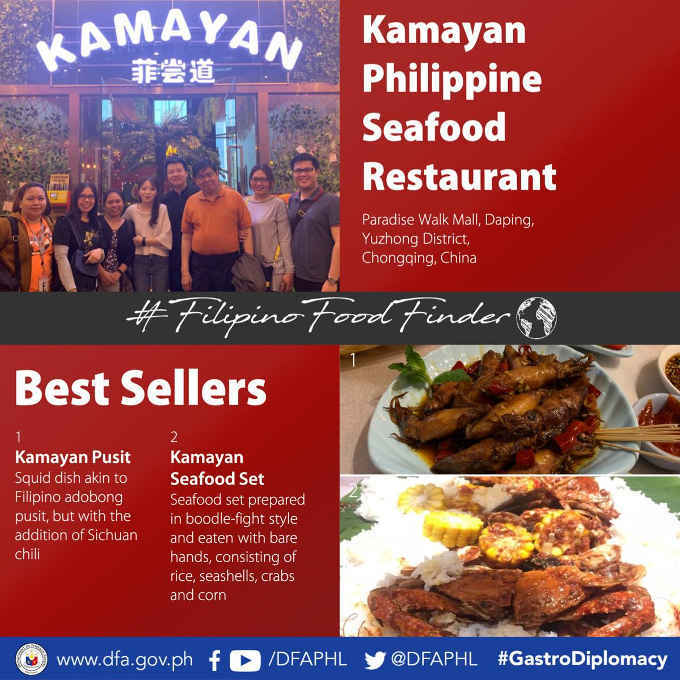 Try the Kamayan Pusit and the Kamayan Seafood Set at Kamayan Philippine Seafood Restaurant in Chongqing. Kamayan Pusit – squid dish akin to Filipino adobong pusit but with the addition of Sichuan chili. Kamayan Seafood set prepared in boodle-fight style and eaten with bare hands consisting of rice, seashells crabs and corn.